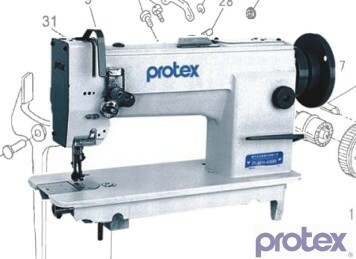 Need A Part for Your PROTEX TY0618-1 Look No Further. We Import these parts into the UK, so we also import the parts. We have over 10 Years of experience in supplying Parts for these machines. "We Are The Parts People"
"Can't See Your Part Here" or unsure of exactly what you need, then CALL US and we will be delighted to help. 400,000 Parts and Needles IN STOCK for despatch today.